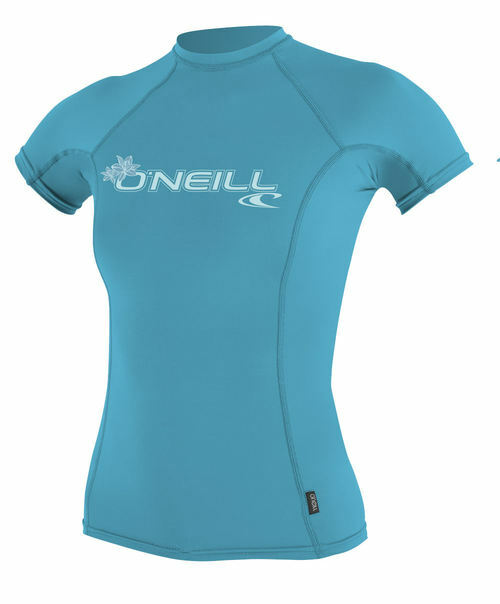 4.5	stars -	"Review for Oneill 6oz Basic Skins SS Ladies Crew Rash Vest Light Aqua" Mark Taylor This Oneill 6oz Basic Skins SS Ladies Crew Rash Vest Light Aqua is the best Rash Vests Ladies I have tried. Fresh graphics and colours throughout the Skins Series equals very wearable short sleeve, long sleeve, rash tees and shorts. Great style lines, ergonomic seam placement, 4-way stretch and quick dry properties seal the deal.